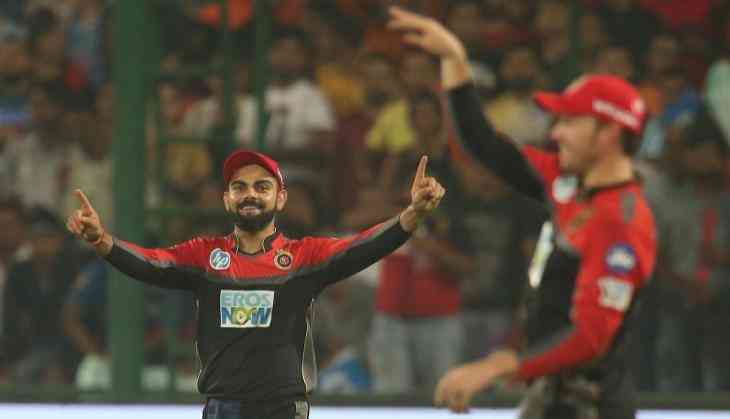 Virat Kohli's love and his respective ability to perform successful run-chases and it is no secret that he likes to chase down mammoth targets compared to setting them. Virat Kohli hit a 70 runs knock off 40 balls to chase down the 182 runs target against Delhi Daredevils in 19 overs. "We were not clinical with the ball, but these guys played well. The chase, however, was ideal. Bowling first is better at this stage, because it's easier for batsmen to take responsibility. You can almost set up the game how you like. That's what works for our boys," Virat Kohli said at the post-match presentation ceremony. AB de Villiers was also in great form as he hit 72 off 37 balls and Kohli said that there is nothing easier than batting alongside with the South African Legend. "It is lovely batting with AB. We have done this many times in the past. It was a stiff chase, but in the mid-innings break, AB told me 'don't worry, we'll get this', and that helped me get in the zone. I don't need to say much. It has been an honour for me to bat with him." Kohli also said that he lost his wicket in his bid to accelerate the run rate. "I was disappointed getting out since we had the run-rate in control. Wanted to finish it with three overs to spare and get the net run-rate up. It cost us 10-12 balls to get the victory."